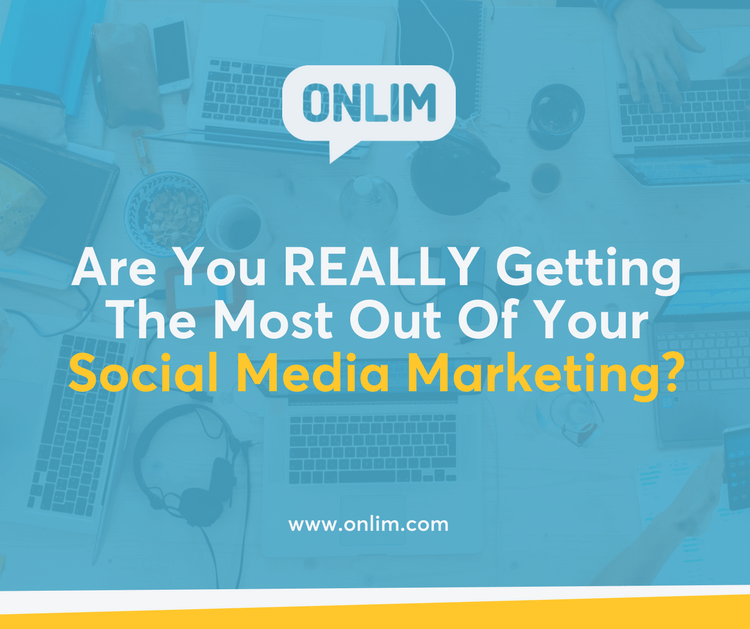 Are You REALLY Getting The Most Out Of Your Social Media Marketing? Nowadays most companies have opened their doors to social media marketing because of its formidable reach and versatility. It provides a platform for all types of business and allows them to have a more personal experience with their customers. Social media campaigns are the way to go for all-around results in your marketing department, but are you getting the most out of them? In this article we summarize some of our favorite social media marketing tips to help you take your online marketing to the next level. Before planning out your social media campaigns, you need to know your goals! There is just no way around it. See it as mapping out your route in a treasure hunt – only when you know your path you can get started and succeed. Every campaign has to have a specific objective and you need to define it before you set it in motion. Not all content can target all your goals, so separating them will provide the best results. An example is differentiating a post that is made to attract website traffic and one that has the purpose to raise brand awareness. Make your goals easy to measure so you can know how effective your approach has been. Very good ways for measuring are metrics that help calculate the ROI (Return on Investment), which gives a numeric outlook on your results. Be realistic! Plan out your goals in terms of resources and personnel. It’s good to dream big but make sure your goals are attainable. Observe your company’s status in social media and define what is needed the most. For example, reach and awareness are more relevant than sales at some points and your goals should reflect that. Define a clear time-frame for your goals. This avoids spending valuable time that could be invested in creating new strategies if the ones you decided on didn’t work well. Always stay versatile and be innovative at the time of creating your social media marketing plan! Do you have the right strategies? The secret to success is to implement the right strategies for your goals. Try to make the most out of the resources you have and always choose a strategic approach. A geat way to increase reach and awareness for your company on social media is to host contests and giveaways. Offer attractive prizes to users to participate and share your contest. Just make sure you comply with the contest rules and guidelines of the different social media platforms. And never forget, your social media presence itself is already improving reach & awareness for your business! Just keep posting, engaging and building relationships. Do you respond to messages and comments you get on your posts? Social media isn’t just about being visible on platforms users like to spend their time on, it’s also about communicating and engaging with your audience. Reply to messages, answer comments and let them get to know the people behind your company. They’ll appreciate it. To generate traffic for your website from social media you need a concrete content plan before. It allows you to plan relevant and interesting posts without only posting links to your website all the time. You have to mix it up! A good way to do this is to keep testing content formats and recycling existing posts. Instead of just link posts, you can try plain text with an image, which usually works really well. If you want to increase your reach add the relevant link in the comments of the post. You can also use existing posts and create new content pieces from them, like images with quotes, short teaser videos and so on. Think about what your audience wants to see from you on social media and give it to them! Then you’ll also start seeing your website traffic from social going up. Plan your social media posts with Onlim. Get the FREE 14 day trial here. For example, you create attractive lead magnets to get people to sign up to your email list. Make sure to keep them specific, well formated, straight to the point and consumable. How about an e-book, a case study or a checklist that you know your audience will be interested in? It should definitely be something that you know people will want to sign up for. Of course you can also test different things. Once you have set it up, add the opt-in links to all your social media bios, create attractive posts and keep sharing. If you want to take it up a notch, try paid ads. Getting sales directly from social media is definitely the ultimate but also the most difficult goal. If you don’t have a loyal and engaged following it can be hard to achieve. Just keep in mind that it’s all about SOCIAL on social media, so posts like “Hey, have you checked out our latest product yet? You’ll love it!” will usually not work. Even with paid ads you get better results if you warm up your audience first with a different offer, than putting very salesy ads in front of a cold audience. To make sales on social media you have to invest in building trust first. Let people get to know you and establish your company as the expert. It will pay off if you put in the work. Of course you can always promote truly special and valuable offers on social media, which might allow you to get some direct sales. On social media it makes sense to take risks and try something new from time to time. You are not supposed to have everything figured out from the beginning, so testing and learning is crucial. Don’t take your eyes of your goals and really go for the strategic implementation. Experiment with different factors like platform, content types and variations, posting times & frequency, hashtags, copy, emojis, etc. Also make sure to not limit yourself! Go out of your comfort zone to put your company “out there”. See where you can make tweaks to your existing strategies that can make a different, maybe you wanna try memes on Facebook (even if you are not a fan, your audience might be), or go for a Facebook Live, try Periscope, participate in a Twitter chat or start working with Influencers. There are sooo many options. Just keep an eye on your progress, it’s all about those metrics if you want to improve! Last but not least, remember that social media marketing is a long-term stratey. Consider investing in a digital marketing team to optimize your social presence and really get the most out of your social media marketing. By Stephanie|2019-04-15T18:20:51+02:00April 12th, 2018|Categories: Social Media Strategy|Tags: digital marketing, get website traffic, onlim, social media, social media campaign, Social Media Goals, social media management, social media management software, Social Media Management Tool, social media marketing, Social media marketing plan, Social media marketing tips, social media strategy, strategic social media marketing|Comments Off on Are You REALLY Getting The Most Out Of Your Social Media Marketing?